Comment: I would like to get an estimate for historical home preservation, I want to have it assessed for the architectural standard. Replacing the board on the outside and repainted. It is a wood siding and need it painted too. It is a 1940s house, and I want to have this and some flooring in 30-90 days. Project planning work, and also the painting. Comment: I think it has wood siding and my insurance Company said it needs repaired and would like an estimate. Comment: Currently have cypress siding and brick. Siding is about% of home. Would also like to install vinyl porch railings. Georgetown Siding Contractors are rated 4.69 out of 5 based on 205 reviews of 9 pros. 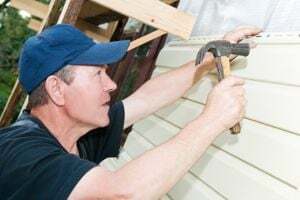 Not Looking for Siding Contractors in Georgetown, SC?